Congratulations to TrishJ the winner of Patricia's giveaway. You will be contacted regarding your prize. Thank you to all who participated. LEAP YEAR. It happens every four years where we get an extra calendar day. Instead of 365 days, this year we get 366 to keep our calendar year synchronized with our seasonal year. So what are you going to do with your extra day? Is it a time to rest, a time to catch up on all those projects you are putting off? Or a time to reconnect with friends you haven’t seen for awhile? An extra day to read or write? The trouble with life is we do not have enough hours in the day. Even with modern technology that claims to make our lives easier—we still seem to be busier than ever. We let life get in the way and are always trying to catch up, which never does seem to happen. Which means we don’t take the time for important things like see old acquaintances, tell those we care about how much we love them, let alone smell the roses. My challenge to you this Leap Year, is to take your Leap Day and make someone else feel special. Do something nice for someone else. The movie LEAP YEAR, with Amy Adams and Matthew Goode, comes to mind. It was a cute movie about a young woman, running off to Ireland to chase down her boyfriend of four years so that she could propose to him on February 29th, due to the Irish legend: a woman can propose to her loved one on Leap Day. Matthew Goode, being the good guy, offers to take her to her destination. She spends her brief time in Ireland in such a hurry to get to her boyfriend that misses what’s going on right beneath her nose: adventure, fun and … nearly misses the true love standing right beside her. If you haven’t watched the movie, do … it really is a cute one. Some old Folk Traditions regarding proposing on Leap Day even went as far as requiring a male to purchase 12 pairs of gloves (Denmark), purchase enough fabrics for a skirt (Finland), or even require a kiss or purchase a gown to soften the blow (Scotland), for those males wishing to decline the proposal. Greece considers it unlucky to marry in leap year and 1 in 5 couples will avoid the year for a trip to the altar altogether. ~Standing, he walked over to the sink and stared at his pale reflection. What had Kelly seen in Dax that she hadn’t in him? A warm body. Turning on the cold water full blast, he splashed his face and washed his hands. Upon exiting the men’s room, he saw Star talking with a shorter girl, wearing a tight pleated skirt and black leather bra. Perfect. He’d rescue Sara and get the hell out of here. Jaycen gripped her arm and pulled her toward the staircase. She looked back at Dax, who no doubt, stood watching the spectacle Jaycen created. He didn’t give a damn. Dracula should feel damn lucky dragging Sara away had been his only move. Had he followed his gut instincts, the man would be lying in a pool of blood. Several cars buzzed down the busy avenue as the street lamps cast an eerie amber glow to the cloudy night. Hell, where would he start? The part where his wife likely snorted the white stuff? Or the part where she had Dracula securely wrapped between her thighs as he slammed into her in a public restroom? He stabbed his hand into his hair and fought another oncoming panic attack. He drew in oxygen, squared his shoulders and faced Sara head on. Maybe telling someone might help him cope with Kelly Jo’s betrayal. He certainly wasn’t handling it well on his own. To read more of LOVE YOU TO PIECES, visit my website or you can get your copy at Kindle or NOOK. On Sale now for $2.99. Even though I write Romantic Suspense, I still love a great romance when it comes to movies. 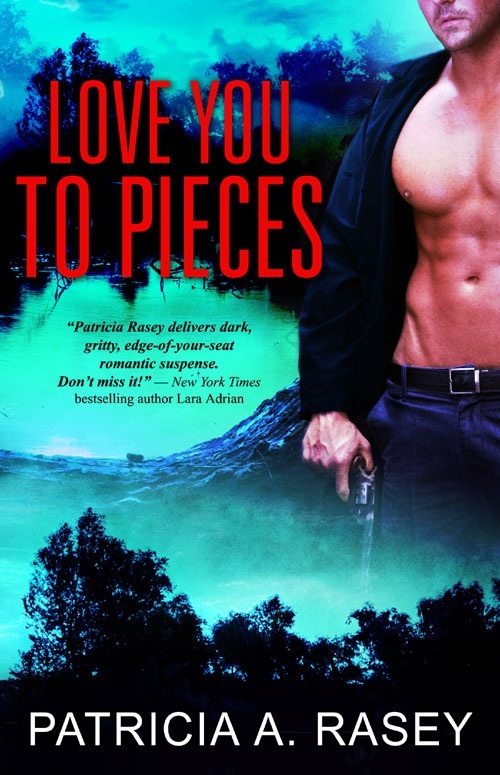 I’m giving away a Kindle or NOOK copy of LOVE YOU TO PIECES (winner’s choice). All you have to do to enter is comment below with your favorite movie of all time…and don’t forget your email address so I can contact you if you win. Giveaway ends 9pm EST March 1st. Please supply your email in the post. You may use spaces or full text for security. (ex. jsmith at gmail dot com) If you do not wish to supply your email, or have trouble posting, please email justromanticsuspense @ gmail.com with a subject title of JRS GIVEAWAY to be entered in the current giveaway. I love Sweet Home Alabama. I've watched it a few times! Great movie! Thanks, Trish! I appreciate you stopping by! My favorite movie of all time is Dirty Dancing. Nothing like first love, for Baby, and a bad boy falling in love with the good girl. Dirty Dancing was a great movie, too! Love the bad ball falling for the good girl. 'Nobody puts Baby in a corner.' Ha...love it! Thanks for stopping, Joanne! My favorite movie is Sixteen Candles. First love and all the embarrassing moments of high school that go with it. It's been awhile since I seen this one. But it's a classic!! Thanks, Monica! I appreciate you stopping by! Ah, that's an easy one, Patricia. Without a doubt, it would be Far and Away, which coincidently starts in Ireland and ends in the US. What I love most about this movie is all the genres; it's an adventure, action, tragedy, and of course romance. The scenery is sad and breathtaking, as he captures the awe-inspiring beauty of Ireland, growing pains of a new nation in New York, and then sweeps you off to the great plains of the US. I don't want to give it away, but the last scene... Sigh! Your man gave me chills too! Tough and vulnerable, love it! One minute he’s ready to shred, the next he’s melting into the warmth of a kiss. Yum! I have not seen this one, Carmen. Guess I need to check it out, huh? Sounds like a great movie! Thank you for stopping by and for the review! And also, thank you for what you said about Jaycen...I loved writing him. I appreciate it, Carmen! I don't have a favorite movie of all time. It is too hard to decide. The one that comes to mind after reading this post would be The Holiday. I like watching how four different people found each other and how they were all connected. I watched The Holiday. That was a fun movie. I think it's on my keeper shelf. Looks like I need to watch it again! Thanks for stopping by, Amy! I appreciate it! All three are great movies. I am a chick flick lover if you cannot tell. I love feel good movies and all three of these fit the bill. Thank you for stopping by, Susan! My favorite movie of all time is The Last of the Dogmen with Tom Berenger. My second favorite is Letters to Juliet. Added this book to my TBR list. Would love to win it before payday. Thanks! The Last of Dogmen? I need to watch that one. Love Tom Berenger! Letters to Julliet was a great movie. And that you for saying you would add Love You to Pieces to your TBR pile! I appreciate that! Thank you for stopping by, Heather. Hi, Janet. That was a cute movie. I'm surprised how many of these movies listed I've watched. Wow--guess I am a bit of a movie nut. Thank you so much for stoping by! I don't watch many movies, because I'm too busy reading but one of my favorite movies is Titanic. I love the story of finding love anywhere and with anyone. Plus the historical details kept me in awe. Hi, Na! Would you believe I own Titanic and have yet to watch it? I purchased it way back when it came out in VHS. Maybe I sould watch it before my player gives out. :-) Happy Leap Day and thank you for stopping! Love The Quiet Man with John Wayne and Maureen O'Hara - the Irish landscape is beautiful and Mamma Mia! with Meryl Streep. My favorite has to be Gone With the Wind. I read the book as a teenager and followed with the movie and have now seen and read them so many times that I know the dialog! GWTW has everything romance, romantic suspense, drama, war, politics and history but mostly love of man and woman, family, friends, land, country and way of life and how refusing to grow and compromise can destroy them all. Great movie, Janice, and one I haven't watched in a long while. I definitely need to watch it agaion. I apprecite you stopping by! The Princess Bride that true love can conquer all. I love the two phrase: Inconceivable and As you wish. Hi, Kai. Casablanca...another great classic! And The Princess Bride--my son talked me into watching. Glad he di...love the movie. Yea, my son. LOL He likes chick flicks. His wife is lucky! LOL They get to go to the theaters and watch where I have to talk my hubby into watching them. :-) Thanking you for stopping by! I'm afraid that I love musicals. I'm dating myself but I love "Hello Dolly". Loved Barbra Streisand's voice. What wasn't to love. There were the costumes, the cast, and of course the story line. I especially loved the duet between her and Louis Armstrong. Hi, Lynn. I am sure I watched that one, but am not remembering it too well. Guess I should look it up. :-) Barbara has a great voice! I appreciate you taking the time to stop by! Well, if I have to pick one movie, it would have to be Gone With The Wind. Love the era, love the storyline, and love the actors. Scarlett and Rhett were an amazing pair.